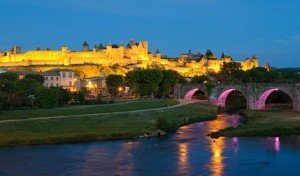 Whats the Weather like in Carcassonne? When people begin to plan a holiday, the first thing that many of them will consider is: What will the weather be like? The good news for visitors to Carcassonne is that the area normally receives up to three hundred days a year of sunshine. During winter you can expect some rain while the Languedoc region is also sometimes referred to as the country of the winds. There are various winds which blow into the region such as the Cers, the Scirocco and the Marin. The most common one is the Cers which blows warm in the months leading up to summer and comes from the west. Locals consider it a sign of a good summer to come. In the peak of summer you can expect it to get as hot as 33 degrees Celsius with August bringing the occasional thunder storm. Winters are mild.